Fresh peas are cold-season crop but they are available throughout the year in dried form. Now-a-days frozen peas are also available. Peas make the dish colourful and attractive, so they are always children’s choice. 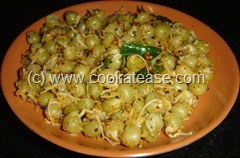 In India, dried white and green peas are available throughout the year. Dried peas are very easy to sprout. 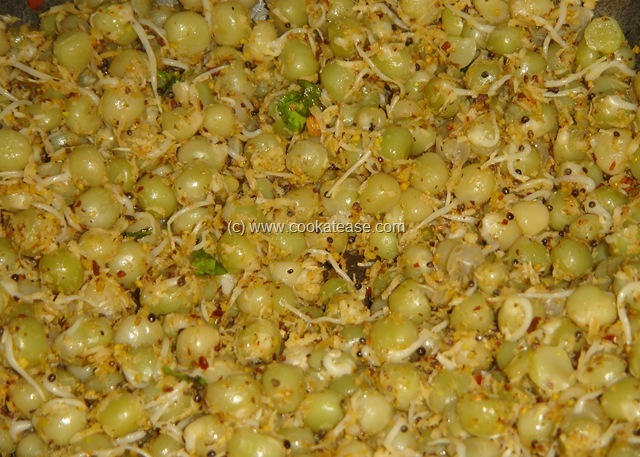 Sprouted peas are easy to digest and are more nutritive. 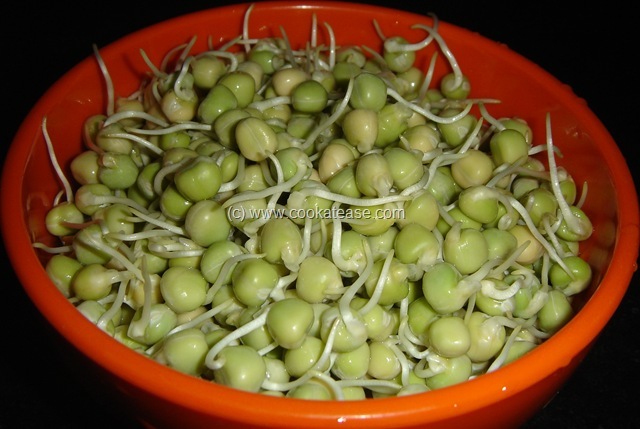 I love sprouting very much and sprout green gram, wheat berry in addition to peas. Sprouting: I soaked dried peas for 8 hours, washed and tied in cheesecloth for 8 hours. In between I sprinkled water on the cloth. Thereafter I transferred the peas to a closed container and kept in fridge. On the third day, 2 to 3 centimeter long sprouts developed. 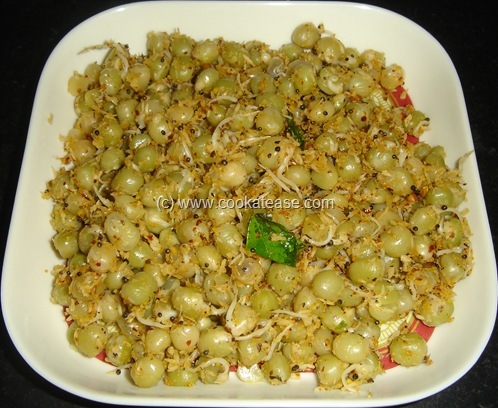 I boiled sprouted peas and prepared sundal for evening snack. 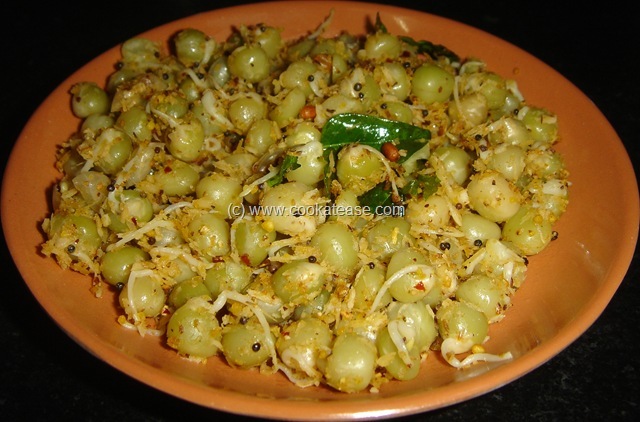 Sundal is a traditional dish in Tamil Nadu and is offered as ‘Nevedhyam’ during Navratri in temples and homes. In a pan dry roast items given, allow it to cool and grind to a coarse powder; boil sprouted peas in water for 5 to 8 minutes or till soft. Do the seasoning in a pan then add boiled peas, salt and fry for few seconds; add ground powder, mix well and fry for few seconds. 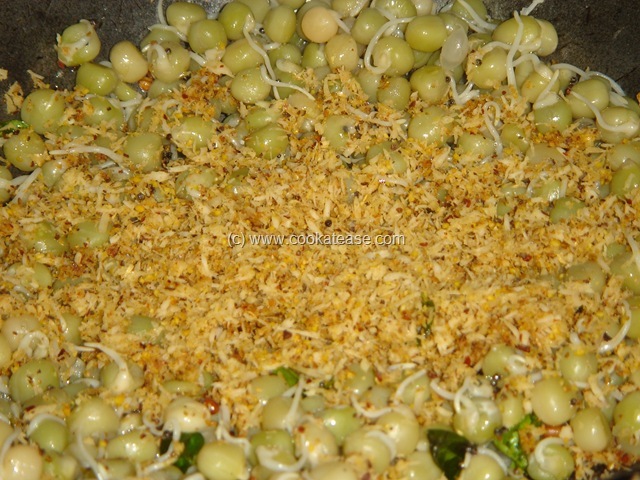 Delicious Sprouted Peas Sundal is ready and serve hot. 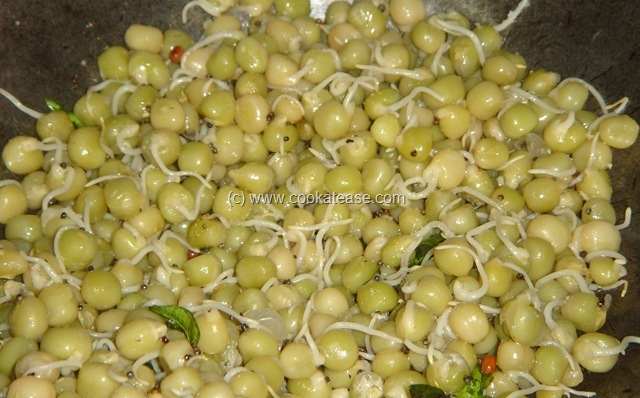 Do not overcook sprouted peas and while cooking gently stir without breaking the sprouts. This post is part of the event “Sunday Snacks – Festive snacks of Navratri & Diwali” hosted by Indrani of Appyayan.